From traditional to modern, from dynamic to intimate, these are arguably the most significant Praise & Worship songs from around the world. 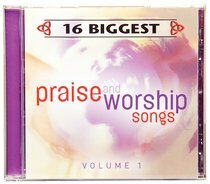 At just $19.95, this is a great-value compilation of peaceful worship favourites. About "16 Biggest Praise and Worship Songs Volume 1"